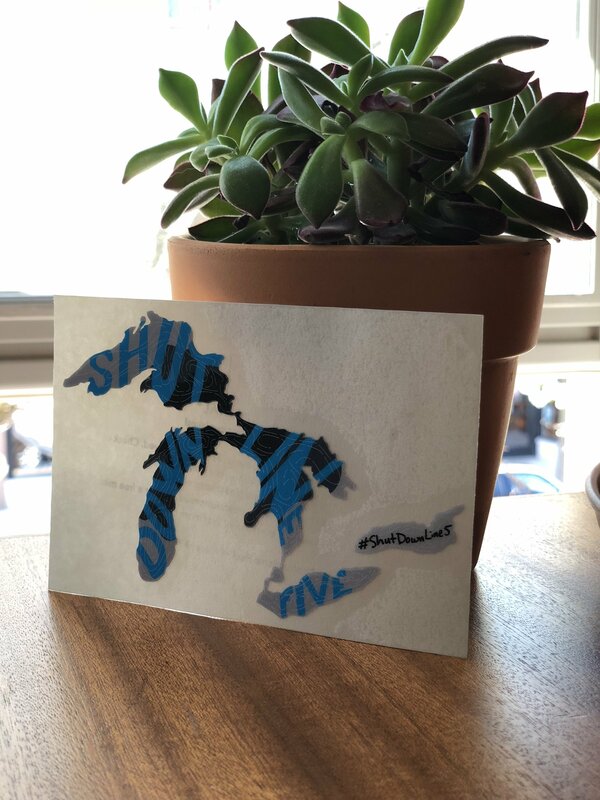 Get your hands on a Great Lakes Proud special edition "Shut Down Line 5" sticker! Proudly display your support for keeping the Great Lakes oil-free with this sticker wherever you want to put it. This is a transfer sticker, meaning only the lakes (and nothing that is white) will be visible once you apply it. 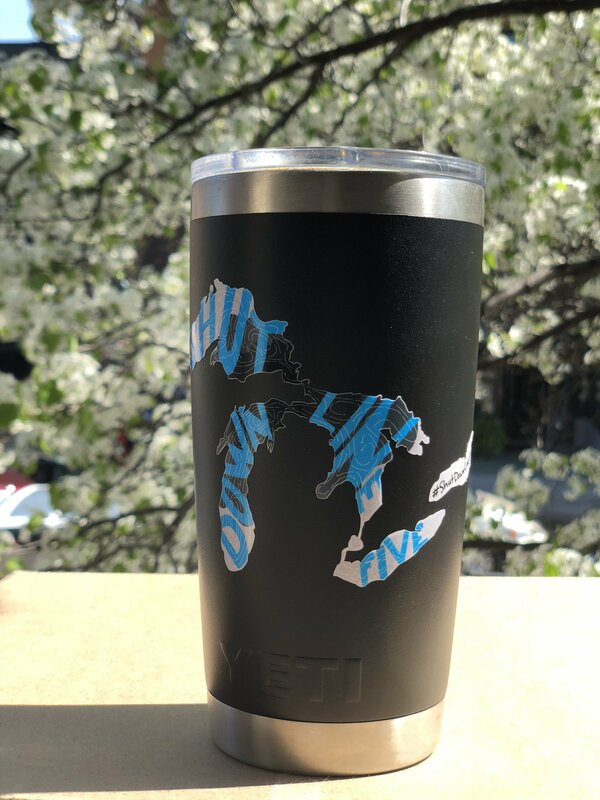 All proceeds from our merchandise go directly to support our mission of safeguarding the Great Lakes, the planet’s largest freshwater lake system and the very lifeblood of the Midwest.